The last time winner of UEFA best Player in Europe and also the winner of 2014 FIFA Ballon d’Or, Ronaldo gets another nomination after a season in which he scored 61 goals in 54 appearances. He also claimed the UEFA Super Cup and Club World Cup last season. The first and the foremost winner of the UEFA Best Player in Europe Award, Lionel messi also etched his name in the nomination list this year. In his previous season he enjoyed scoring his 400th professional career goal and 250th La Liga goal. He was placed second in the 2014 FIFA Ballon d’Or, behind Cristiano Ronaldo, for the second consecutive year. He also started for Barça in the 2015 UEFA Champions League Final, as the club won its fifth European Cup by beating Juventus 3–1 at Berlin. The third nominee Luis Suárez ended his first season at Barcelona with 25 goals and 20 assists in all competitions. Suarez, meanwhile, formed a fearsome attacking partnership with Neymar and Messi that helped inspire Barcelona to the treble in Luis Enrique’s first season in charge. 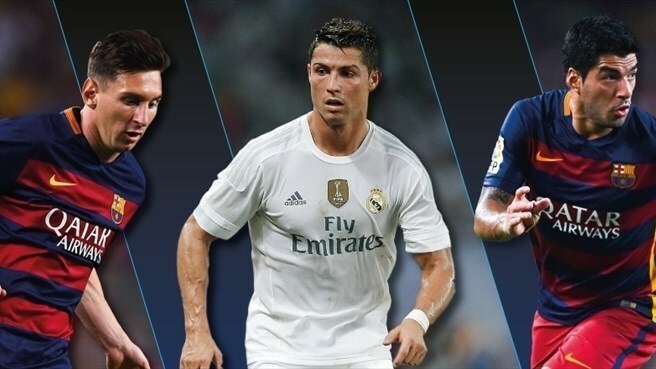 The winner will be announced at the Champions League group-stage draw on August 27, where a jury will vote for one of the three finalist. Hi there! I simply wish to give you a huge thumbs up for the great info you have right here on this post. I just want to mention I’m all new to blogging and site-building and actually liked your blog site. Most likely I’m going to bookmark your site . You amazingly have incredible article content. Thank you for revealing your website page.